AC Milan have recently picked up form in the Italian Serie A as a result of two excellent signings in the January transfer window. Kryzst of Piatek arrived from Genoa with a glowing reputation and has been banging goals for the club. 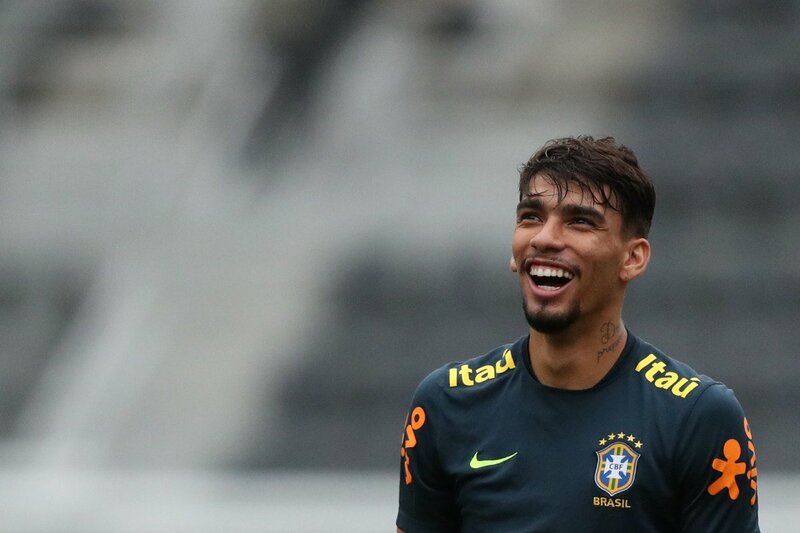 Lucas Paqueta arrival from Flamengo went under the radar but the Brazillian has been sensational in his time at the club. His cultured style and combination play with Piatek have seen glowing plaudits for the youngster. 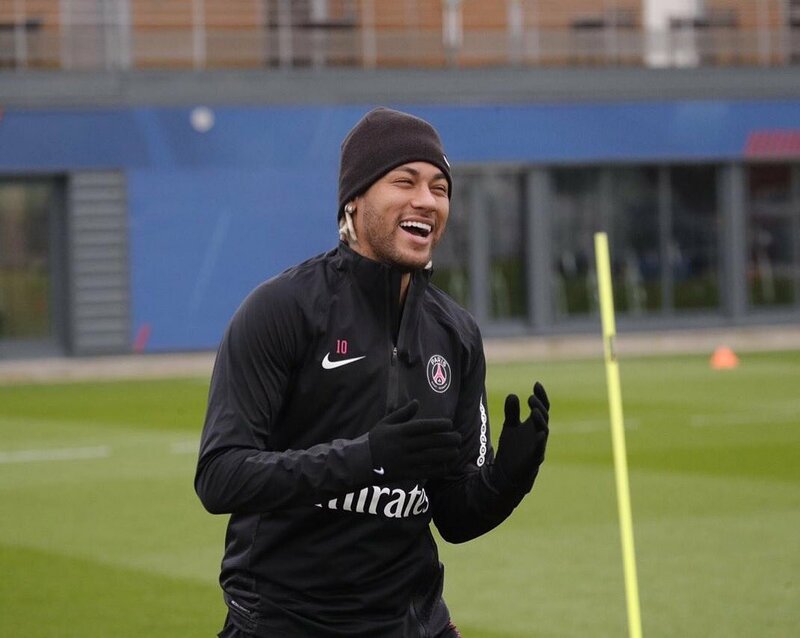 Paris Saint Germain and Brazil international forward Neymar said that he is happy to play under Thomas Tuchel. He said that the manager is an experienced manager and that he has helped him improve his game. He said that the former Borussia Dortmund manager is a great man and that he has taught him how to give his best on the pitch. Neymar has scored 20 games so far for Paris Saint Germain and said that he is enjoying himself on the pitch. Brazil and AC Milan legend Kaká came so close to strutting his stuff in Central America and has revealed how close he came to ending his career in Mexico. The former attacking midfielder spent seven years at San Siro over two spells before spending his final three seasons with Orlando City. AC Milan by Serie A gave Kaka, the former Brazilian star and winner of 2007 Ballon d’Or an assignment to scout the team he played with for 6 seasons. This was mainly to get Lucas Paqueta from Flamengo in Brazil to San Siro. Before a week ago, the sporting director of the team Leonardo Araujo gave a confirmation that Kaka will resume work for AC Milan. Araujo said Kaka would be with them as the bonding is still there. Although there is no specific role, however Kaka would be with the team as he is associated to the history of AC Milan. Kaka has well managed his career so far and also capable of representing the club and its style as per Leonardo. The 21 year old became a part of AC Milan in 2003 from Sao Paulo. Thereafter he was at the peak of career when he helped the club to get one Serie A Champion, one FIFA Club World Cup, one UEFA Champions League, and one Supercoppa Italiana title. Brazil coach Tite has said that Croatia were a tough side to beat as the South Americans struggled before having their way. Both sides met in a warm up fixture ahead of the World Cup at Anfield. Croatia, World Cup bound and set to face Argentina, Nigeria and Iceland, hoped to use the Brazil game to prepare. Well, it helped as it exposed a lot of flaws as they lost 2-0. They tried matching Brazil player for player in the first half of the game before superstar Neymar came from the bench to break their resolution with a spectacular goal. Liverpool’s Roberto Firmino doubled the bottomline to seal the victory for one of the favourites to lift the cup in Russia. Former Brazil international Kaka believes that Brazil has a chance of winning the World Cup in Russia next year, but they are not the favorites. He said that the team had improved a lot during the past year and they have managed to win their qualification quite easily. However, he believes that they still need to improve if they want to win the World Cup next year. Kaka believes that the team is now stronger as a team and that they do not look like a bunch of individuals playing together. He said that the team has a formation and a clear strategy now and they know how to attack and defend as a unit. German side Bayern Munich shocked many when they quietly completed the loan deal for Real Madrid playmaker James Rodriguez. There were rumours that the Columbian could exit the Santiago Bernabeu soon but many likely never expected it to happen this way. Manchester United were rumoured to be involved at some point as well as other top contenders in European football. The 2014 World Cup star was believed would cost more but Zinedine Zidane opted to release him on a two year deal with an option to buy for an almost below market valuation – very unlike Madrid! Jason Kreis is unhappy with his team being able to fetch just one point playing Sporting Kansas City the other day. As it was a home game, the coach wanted full three points from it. The Ghanaian winger Blessing opened the scoring for the visitors in the 7th minute itself, giving a huge blow to Orlando, but, Larin quickly nullified that early advantage of Sporting by putting one into the back of the net in the 16th minute. Just ten minutes after that leveller, Kaka delivered a beaut of a strike for Orlando to make the score 2-1 in their favour. Brazil football legend Kaka has dropped words of advice for his compatriot Neymar regarding his desire to be the world’s best player. The MLS star says that Neymar should think about a change in his name if he wants the honour. Neymar has revived his career in the last games after a goal-drought that saw him descend to levels unlike the previous seasons since his move to Camp Nou. 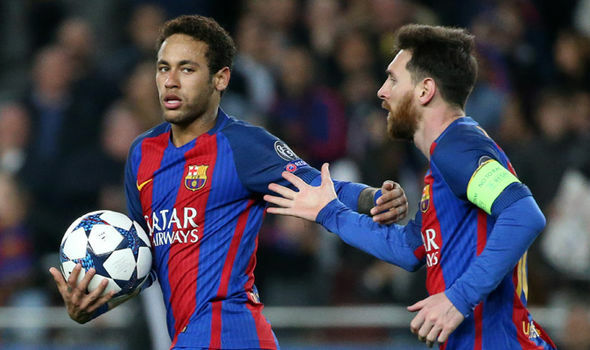 He was spectacular in the 6-1 magic Barcelona pulled to restore their Champons League hopes after an earlier 4-0 mauling by French side PSG. Neyamr, 25, netted two crucial late goals that turned the table around for the Catalan club. He scored his 14th striker in the game but he would be adjudged far from being the best player in the world. 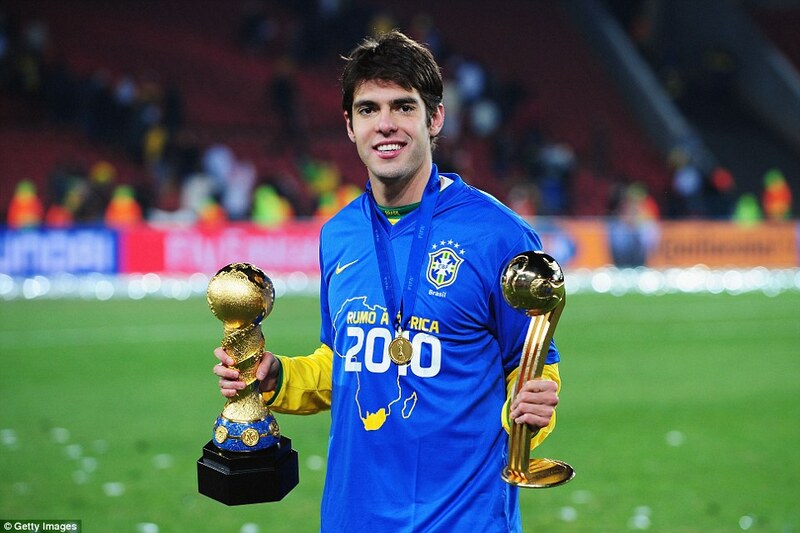 Manchester United winger Henrikh Mkhitaryan has revealed that his idol while growing up was Brazilian legend Kaka. Mkhitaryan joined Manchester United over the summer for £28million from Borussia Dortmund but the Armenia international had a far less conventional beginning in football. The winger went to Brazil as a youngster for four months to train with Sao Paolo before kick-staring his career with Armenian side Pyunik. And the 27-year-old has revealed he did so to be more like his idol Kaka and to learn the ‘ginga’ style of Brazilian football. Kaka was a huge influence on Mkhitaryan growing up. “By the time I was 10 years old, my entire life was football. Training, reading, watching, even playing football on PlayStation,” Mkhitaryan told The Players’ Tribune. “I was totally focused on it. I especially loved the creative players — the maestros. “I always wanted to play like [Zinedine] Zidane, Kaka and Hamlet [his father].